South Australia’s Defence Industries Minister has rejected former prime minister Tony Abbott’s calls for nuclear submarines, despite the state government’s vocal support for a nuclear industry. Martin Hamilton-Smith spoke with Defence Connect following Abbott's controversial speech last week, where the former prime minister called for a discussion about nuclear submarines and a nuclear industry. "The South Australian Labor government under Premier Jay Wetherill would like to develop new industries to supplement the uranium mine at Roxby Downs," said Abbott. "Why not have a nuclear submarine servicing facility in that state – and the industries that would inevitably spin-off?" Abbott suggested Australia acquire nuclear submarines from its ally the US, which Minister Hamilton-Smith told Defence Connect lacked consideration for Australia's sovereignty and safety. "The problem with Mr Abbott’s' proposition that we lease or acquire nuclear submarines is the need for a nuclear industry to sit behind that capability to ensure it is safely maintained," the minister said. "And that means that our university sector, our industry sector and our military sector would need to be upgraded to manage a nuclear capability. Now, that's a national endeavour. It would be made easier if Australia had a nuclear energy industry and a nuclear waste storage capability and a nuclear academic capability, and it has none of those three things. So until Australia would have those three things, nuclear energy, university capability to match and ability to store and recycle and reprocess, it's unlikely that we would have the infrastructure to safely maintain a nuclear submarine fleet. "That would make us very dependent on others, whether it was the Americans or the French, depending on whose nuclear submarine, for the sustainment of our capability, which would put your Navy at risk and means we wouldn't be able to maintain our nuclear submarines in a conflict without helping someone else. And that would leave us very exposed." 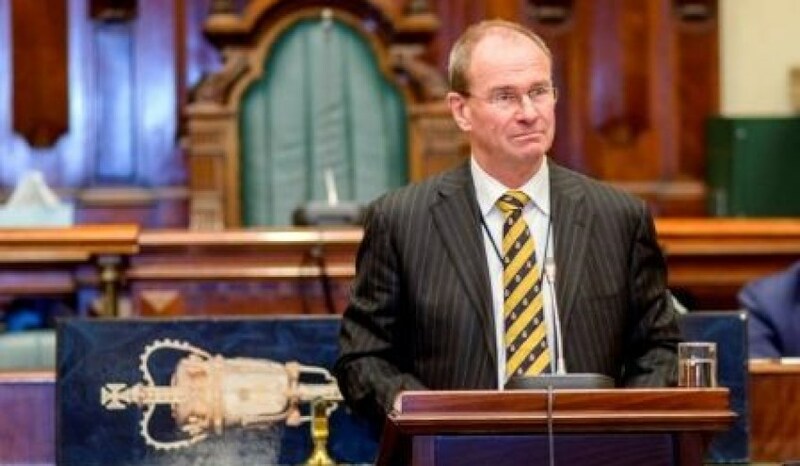 Minister Hamilton-Smith, a former commanding officer in the Australian Army, said regardless of the current state government's support for a nuclear industry, the decision must be made at a national level before the state could even consider or push for nuclear submarines. "That would require a decision at the national level, with community buy-in for Australia to embrace nuclear capabilities more broadly," he said. "And it would appear that that social licence is not there at the moment. So, regardless, it wouldn't really matter what South Australia would want, I think it would matter what the national government of the day thought and the other states. Because it would need to be a bipartisan decision, supported across the political divide. "But that is dead at the weakness in Minister [sic] Abbott's argument, that it would make us ultimately dependent on whoever we bought the nuclear subs from because we wouldn't have the capability to maintain it."